Netflix and Google offered the juice to drive the Nasdaq and Nasdaq 100 to new highs. Other indices aren't there yet, and it remains to be seen what they can offer. Friday's finish in the S&P left it just below resistance near 2,130. Technicals are net positive, and whatever bearish connotations were there from the loss of 2,080 have been firmly put to bed. Friday's doji marks indecision on the part of bulls and bears, with Large Cap traders looking at whether Tech indices can hang on. 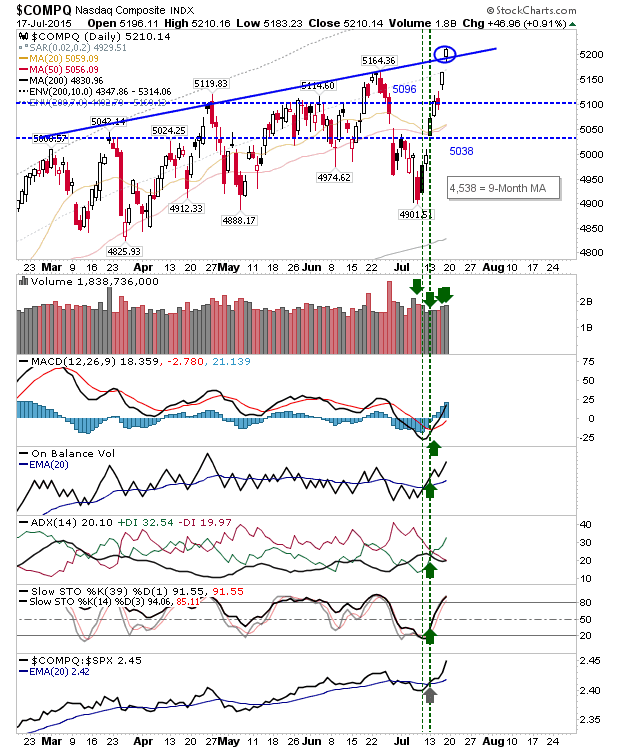 The Nasdaq popped itself above resistance to close at a new high. 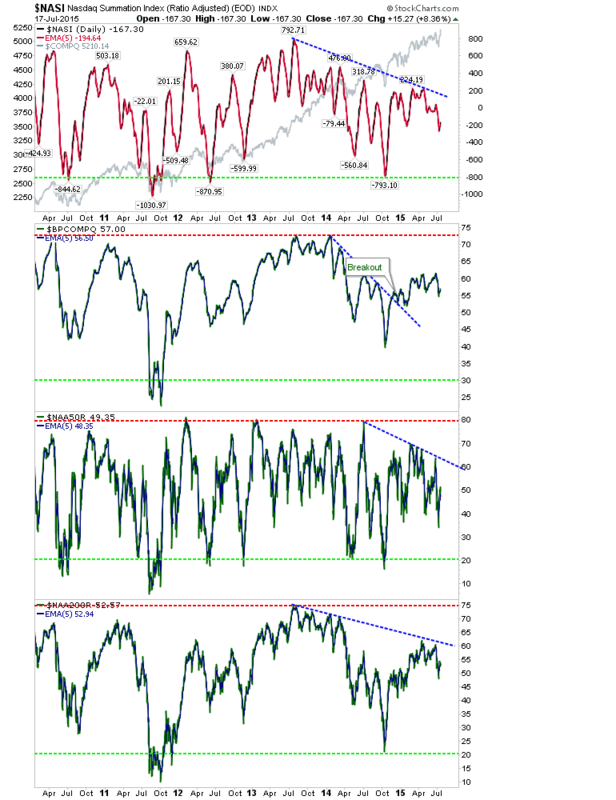 Technicals are all net bullish with the index enjoying a strong relative gain against all lead indices. Volume ranks as accumulation. The Russell 2000 also enjoys net bullish technicals, but it hasn't yet challenged the 'bull trap' from June. It also suffered a loss on Friday, unlike other indices. If bears are going to pressure, the Russell 2000 is the index likely to feel the pain. 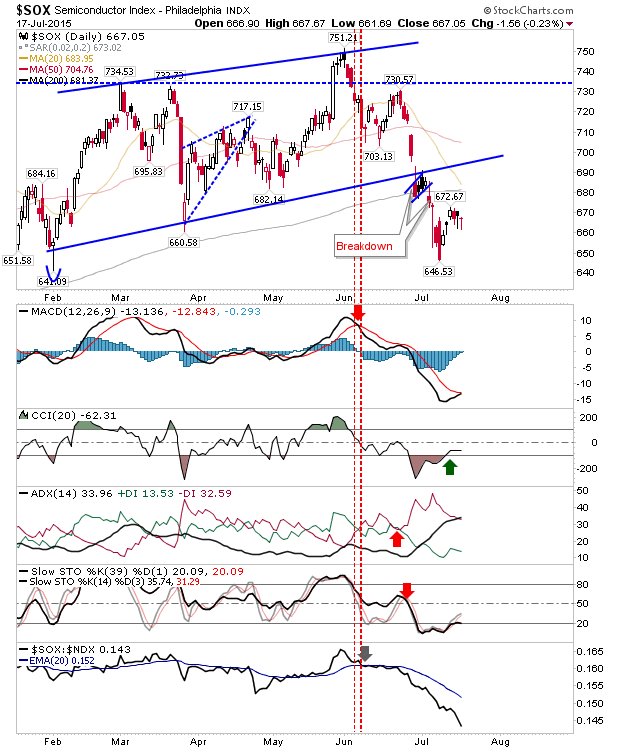 The Semiconductor Index bounced off lows but is struggling to do more than limp bounce. While gains in the Tech Indices are good to see, further gains will require (much) more from the Semiconductor Index. 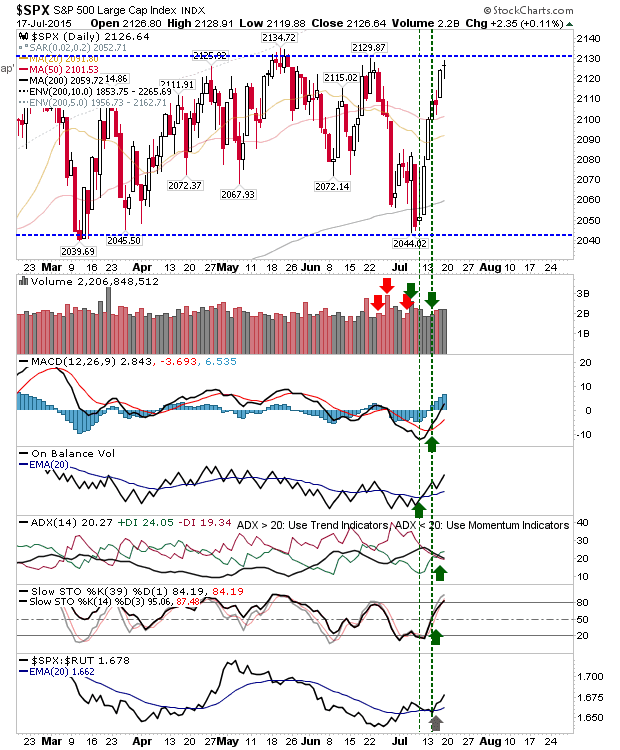 Finally, gains in the Nasdaq haven't pushed the index into overbought conditions. In fact, there is plenty of room on both sides of the equation to reward either bulls or bears. Tomorrow it's down to bulls to defend Tech indices. 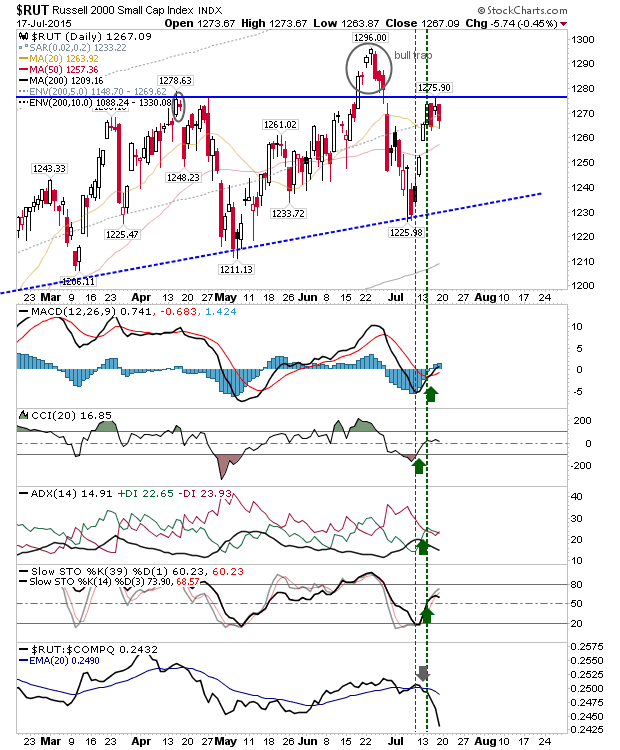 If they can keep the breakouts then the S&P should be ready to follow suit. The Russell 2000 has the most work to do; if there is a stumble, then shorts will come a swarming.